Today we announced our new face to the world: nclud, a provocative creative agency. Our new aesthetic includes an updated mark, brand system, and a redesigned website. After more than a year of research and design and contributions from our entire staff at various stages, we are pleased to announce our new vision with an eye towards helping clients leave their comfort zones to achieve measurable outcomes. We have always sought to craft provocative experiences. This may push some outside their comfort zone, but our strategic approach sets goals and measures concrete results. By dissecting where clients are, and plotting a course for where they want to be, our team succeeds with unexpected combinations of strategy and style. Our team has always been known to challenge the status quo in order to drive results. The rebrand aims to reinforce this philosophy as well as reflect the qualities that differentiate us from our competitors. For us it’s about the work. The new logomark consists of three triangles that reflect the past, present, and future, as well as strategy, creativity, and technology. Together, the three triangles represent the ultimate in symmetry and collaboration at the core of nclud’s culture and process. The mark is anchored by the brand’s new logotype and typeface, Neue Haas Grotesk. Having a rich typographic character and functional aesthetic, it is contrasted by its evolution into today’s widely utilitarian Helvetica – it’s also the reason nclud decided to go back to the original. The brand is accented with Andale Mono. First distributed as an add-on for Internet Explorer 4.0, it is one of the first non-system fonts intended for use on the Internet, so it’s fitting to keep it there. 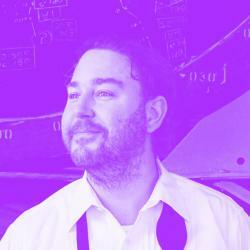 Finally, the type system is paired with vibrant purple and green colors, exhibiting life and providing a real-world representation of how color actually feels. Much like nclud itself, the colors are attention grabbing without being off-putting. For a deeper dive, take a look behind the scenes of the nclud rebrand. 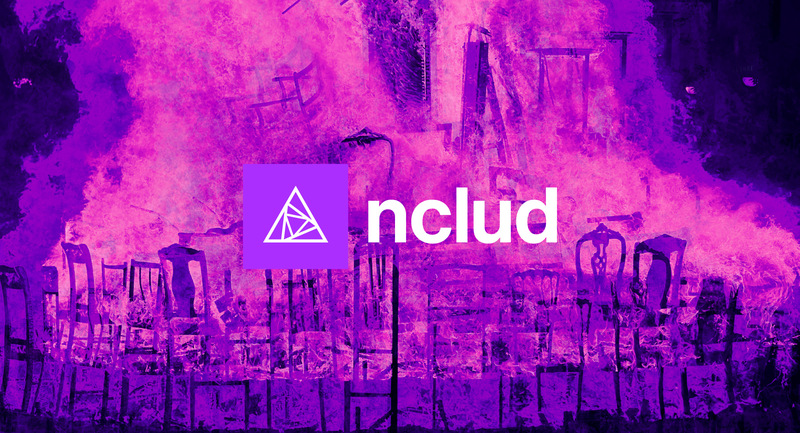 Founded in 1998, nclud is an interactive agency that has been around for almost as long as the Internet itself. More than a digital creative agency, its team is known as unabashed agents of change. Born out of Washington, DC nclud has a global portfolio of brands that includes Adobe, NASDAQ, Discovery Education, The Grammys, Rosetta Stone, The Washington Post, Mashable, NBC Sports. Renaissance Hotels, Apple, Puma, Tesla, Google, Oracle, and more. With its strategic capabilities and approach, nclud executes ideas from start to finish by combining deep technical expertise with artistic talent. The results are measured, award winning, and revolutionary.